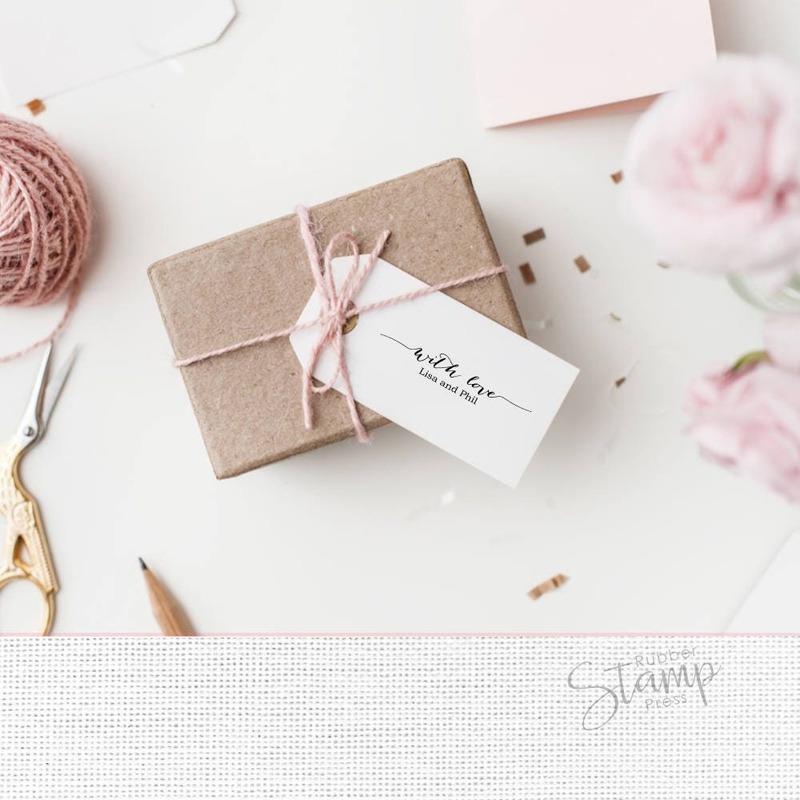 With love wedding favor stamp for do-it-yourself gift bags, tags and boxes. A sweet idea for any candy buffet setting. 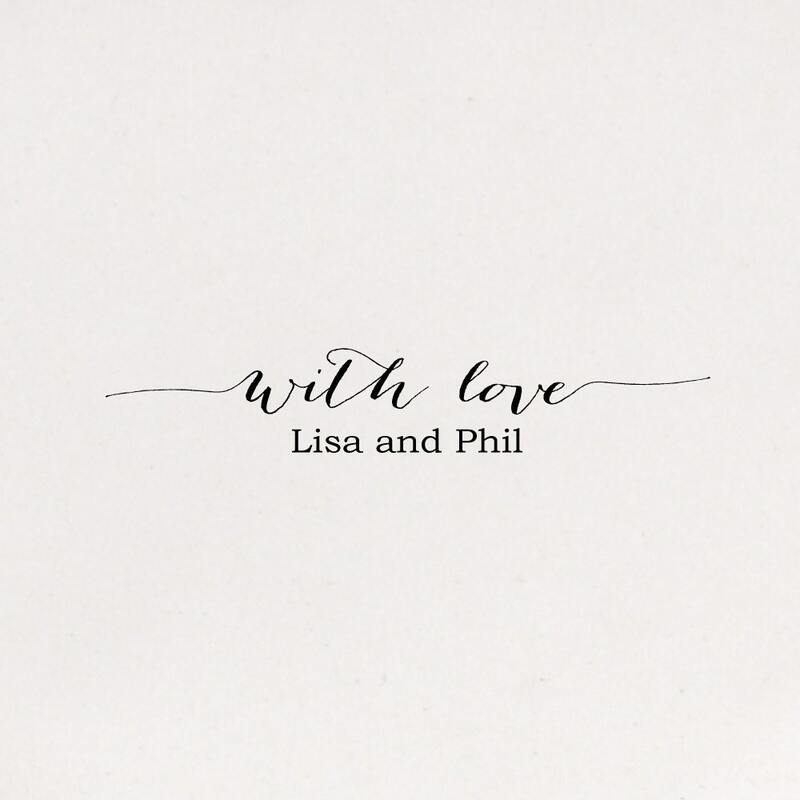 Wedding date can be added. No additional charge. Impression size up to: 0.36"h x 2"w (9mm x 51mm), approximately. Wood mount with handle (ink pad not included). 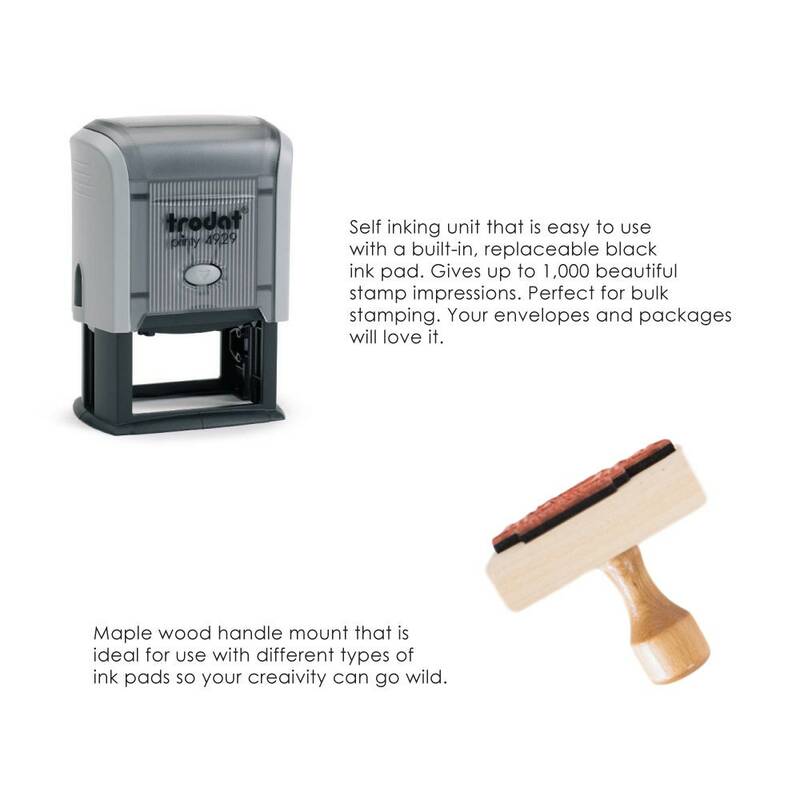 Self inking unit with replaceable ink pad, up to 1000 stamp impressions. Wood mount with handle + ink pad - felt pad size: 1 7/8" x 3". Inks are archival, fast drying, permanent, acid free. Not recommended for glossy/shiny surfaces. Our color chart may vary on different electronic screens. The stamp turned out great. Thank you again for all of your help!